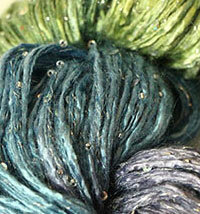 Other Beautiful Mohair Yarns from Artyarns. 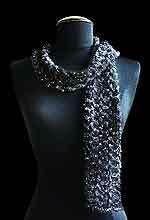 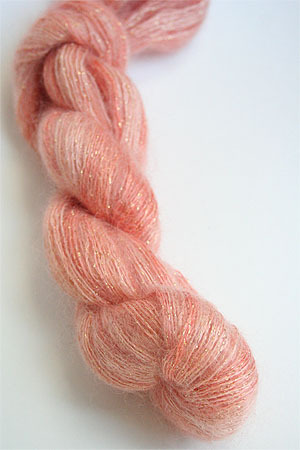 Take Artyarns most fabulous silk mohair, add a touch of lurex, and you get an embellished mohair yarn that is fit for the gods. 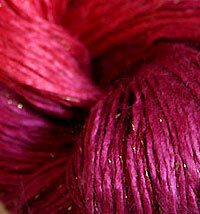 Light, lovely and not at all garish, this yarn simply glistens. 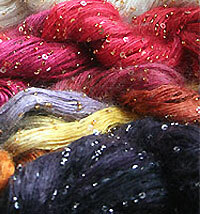 60% Silk/40% Mohair/Glitter Strand 25G/312 YardsGauge: 5 St = 1 "